This remarkable exhibit is coming to Orlando Science Center for a limited run for the summer of 2020. Orlando will be one of only four sites in the United States to host Pompeii: The Immortal City. The exhibit will be on display at Orlando Science Center from June 6, 2020 to September 7, 2020. Conceived by the Galileo Museum of Florence and the National Archaeological Museum of Naples, this exhibition plunges the visitor into the heart of the drama and ruins of the ancient city of Pompeii. Spectacular immersive moments allow the visitor to experience the destruction of the city and to identify with the inhabitants of that time, immobilized by the volcano’s ashes. Over 100 archaeological items originating from Pompeii, including a large number being exhibited for the first time, demonstrate the knowledge that the Romans had about nature as well as their scientific and technical know-how at the moment Vesuvius erupted in 79 A.D. The Orlando Science Center is allocating $75,000 to support partnership programs and collaborations leading up to and coinciding with the run of the exhibit Pompeii: the Immortal City. The Science Center is calling for program partners to develop engaging STEAM opportunities tied to the rich and influential culture of ancient Rome that is explored in this exhibit. Partnership events and programs should reach diverse and broad audiences. No proposal is too small and collaborations are highly encouraged! Eligibility: Artists and non-profit educational or arts and cultural organizations. To Apply: Complete the submission form with required documentation. Submissions will be juried in May 2019. All decisions of the jurors are final. The partners whose proposals are selected will be notified by May 31, 2019. Do not call or email to follow-up on your submission. Once your materials have been received, you will be notified. Only the partners whose proposal is selected will be notified of their acceptance. Thank you for your interest in being a part of Pompeii: the Immortal City. To submit a proposal please fill out the form below and upload the required documentation. Who - is your intended audience? When – what are the proposed dates of your event/program? Where – will your event/program be held at Orlando Science Center or offsite? What is your marketing plan for promoting your event/program and the exhibit? Download the Pompeii Budget Sheet and attach your completed version below. To submit additional supporting visuals or documents, please email pompeii@osc.org. Can the event be ticketed or does it have to be free? Your event does not have to be free. You can still charge normal admission prices or have a ticketed event. Are partners solely responsible for promoting the proposed event(s)? No. Orlando Science Center will help promote the event through social media channels and other forms of marketing and PR in conjunction with the partners. Can programming take place at Orlando Science Center or does it have to be offsite? Programming can take place onsite at Orlando Science Center or offsite. Can the event take place outside of Orange County? What sort of rental and other charges should be incorporated into the budget if a partner were to host their event at OSC? This would be taken into consideration on a case by case basis. However, as a general rule programming that occurs onsite at OSC should be considered programming that would be free to OSC members and walk-ins paying admission to OSC for that day. If the request is for use of OSC space outside of normal operating hours, only direct costs that OSC would incur for hosting would be considered for charges. What spaces are available at Orlando Science Center? OSC can make available our Digital Adventure Theater, Makerspace, Classrooms, or within the exhibit halls. In preparation for proposals, OSC will offer tours on March 27 and April 3 to check out the facility and decide if programming is feasible onsite. What are the specs for the available spaces? This information can be made available to those interested. We would work with the requestor to find the appropriate space for a program idea. 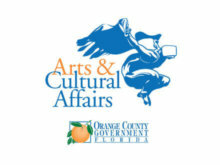 Pompeii: The Immortal City is funded in part by Orange County Government through the Arts & Cultural Affairs Program.